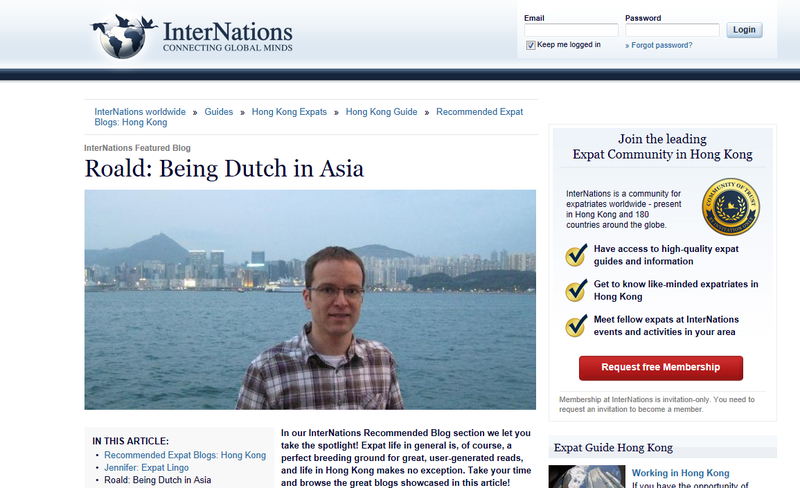 I'm glad to announce that BeingDutchinAsia has been featured by InterNations.org. InterNations is a community for expatriates living in Hong Kong and 180 other countries in the world. In the mean time, I also have to announce that I will be away to Thailand for a week. After these extremely busy months in Hong Kong, I really need to take some time off and enjoy myself without any laptop, smartphone or iPad.